Now, you can enjoy hot water at every tap of your home for bath, cooking or washing. Alpha Electric Storage Water Heater is specially designed to supply and store your hot water with maximum efficiency and reliability. 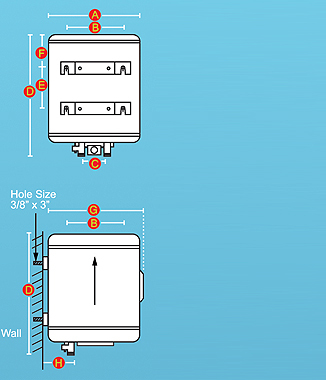 Alpha Electric Storage Water Heater saves space and money. 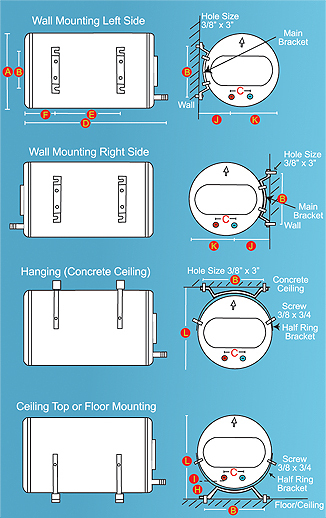 It can be easily installed and concealed in the ceiling to save space. Incoming water is directed through the heater for heating. Excess warm water is stored in the stainless steel heater tank. Its centralized multipoint system provides you with hot water at every tap. So, with Alpha Electric Storage Water Heater, you can enjoy hot water anytime, anywhere with simply more cost saving. Specifications and products shown are correct at the time of printing and maybe subjected to change without prior notice.